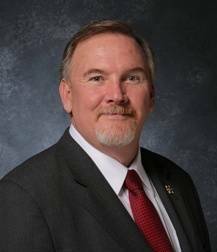 LANCASTER – During Tuesday’s regular meeting of the Antelope Valley Air Quality Management District’s Board of Directors, the board unanimously elected Lancaster Council Member Marvin Crist as its new Chairman of the Board. Crist will serve a one-year term, with Palmdale City Council Member Mike Dispenza remaining as vice chair. Crist was nominated by fellow Board member Ken Mann. The nomination was seconded by Dispenza. “We look forward to protecting the community, while holding down any costs which will affect the lives of hundreds of thousands of Antelope Valley residents,” Crist said. The Antelope Valley Air Quality Management District is the local air pollution control agency for the High Desert portion of North Los Angeles County, including the cities of Lancaster and Palmdale. The District is responsible for regulating stationary air pollution sources and implementing state and federal air quality rules and regulations within its 1,300 square mile jurisdiction, which is home to almost half a million residents.